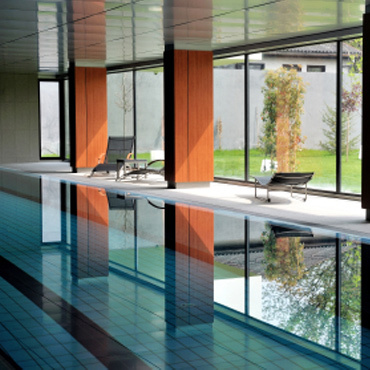 Recotherm’s swimming pool ventilation units are ideally suited for the domestic pool. They offer a healthy environment that won’t cost you the earth to operate. A private pool is only used for 1 may be 2 hours a day, conventional units with constant speed fans have to continue to run but the Recotherm unit will take into account the lower evaporation rates and adjust the speed of the fans to suit, this saves on the running cost of the fan motor’s.